SoundBites @ Mama Makan – Dutchie. The East of Amsterdam is still one of the upcoming neighbourhoods in the city even though there’s no way by now you do not have at least one place you love in this area. 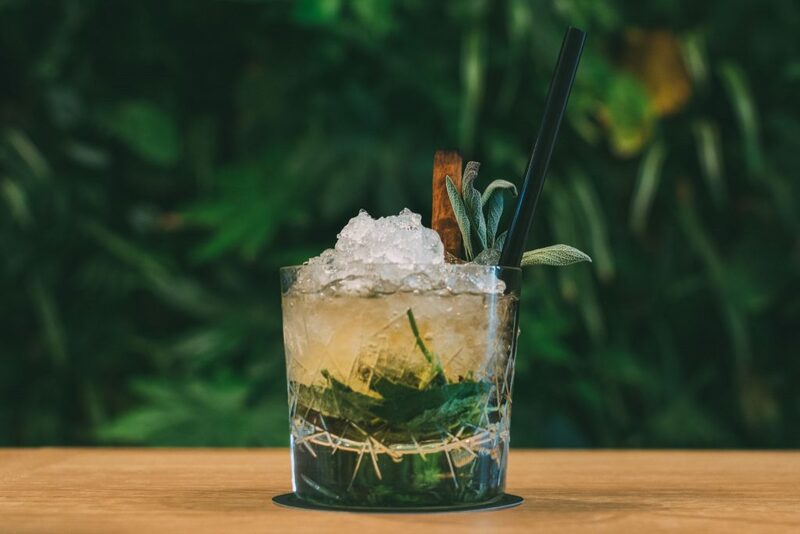 In the new Hyatt regency hotel at the Sarphatistraat in the ‘plantage’ quarter you will find another new hot spot, named: Mama Makan. Mama Makan can be best described as a Dutch – Indonesian grand café. Together with the @Letsmeathere boys we got to experience and try out the Restaurant and cocktails during the Friday Soundbites event. 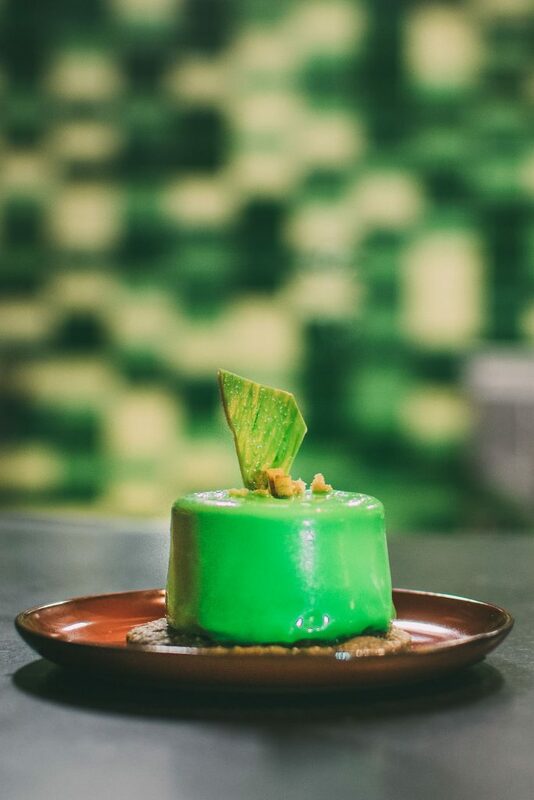 Where Concrete designed the place, they describe Mama Makan and the Hyatt Regency hotel as the following: “Mama Makan, a modern interpretation of a Dutch-Indonesian Grand Café, inspired by the Journeys on the ancient trading routes. The Dutch-Indonesian Grand Café is part of the Spinoza Hotel by Hyatt Regency in Amsterdam. concrete designed the interior, name and graphic identity of the restaurant, as well as the hotel lobby and meeting rooms. 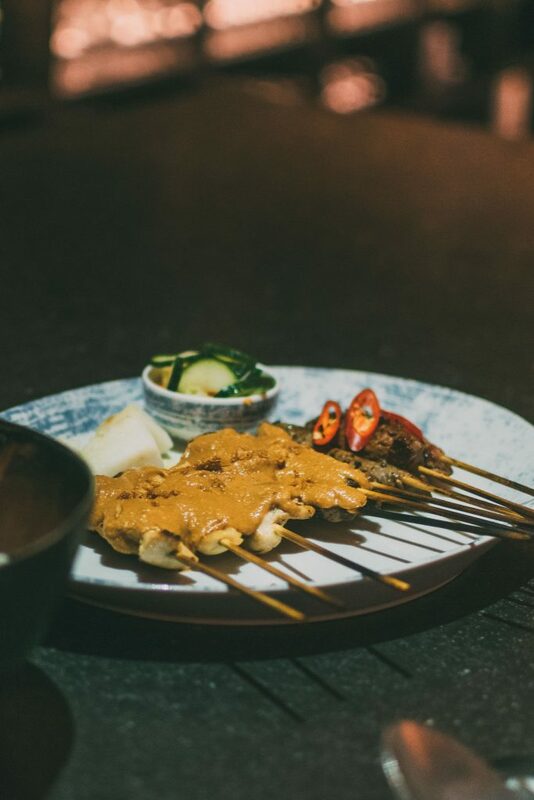 Now that’s a fun read, and some nice background on this new hot spot but what we really want to know is, how is the food, and wait, even more important, what’s happening there and is the Mama Makan bar really worthy? I can tell you, I sure is! 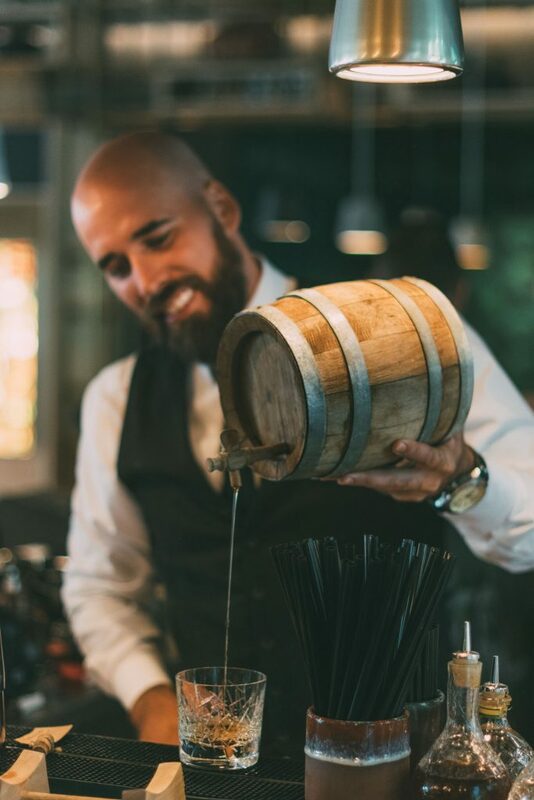 The bartender loves his job and it shows in the creations he makes and the stories he tells with them. 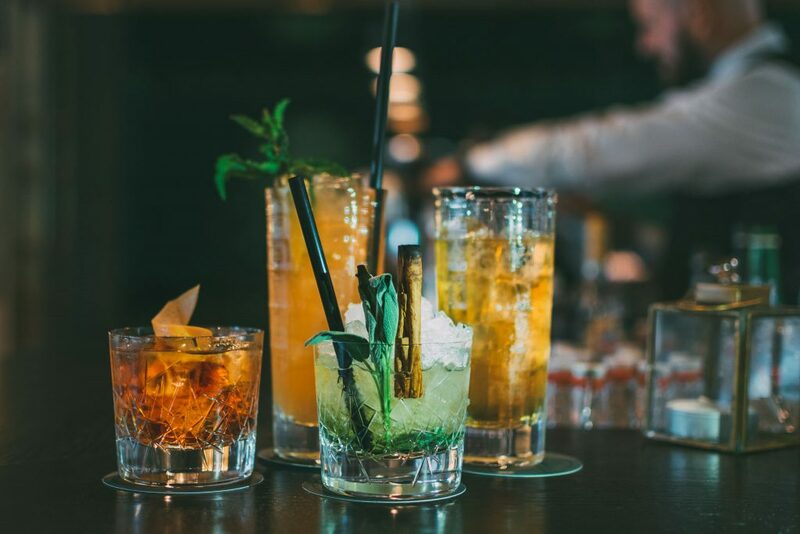 On Fridays they have an event called: SoundBites, where a DJ plays some awesome tunes, bites are served and the best cocktails can be ordered at the bar. 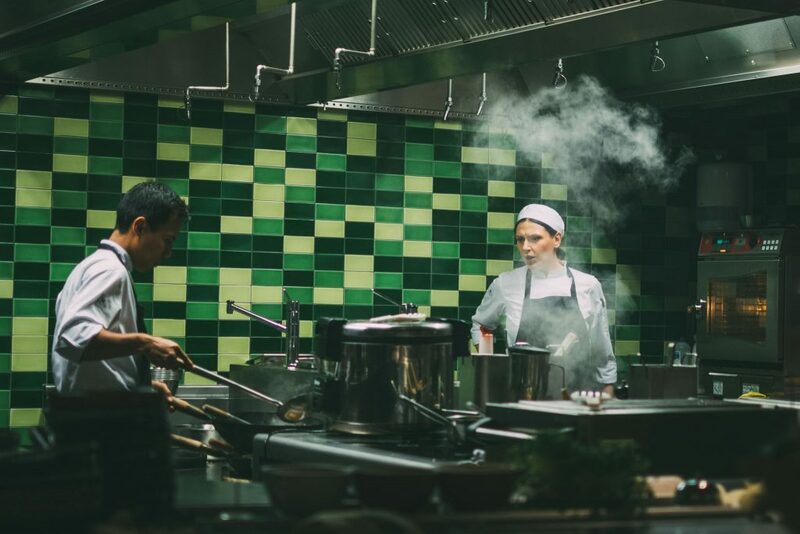 To fully complete the experience after nipping away a few cocktails, you move from the bar, to the restaurant area where you get to fine dine. Everything we tasted was a win and after filling up our bellies we hurried back to the bar. Although even during dinner the barman who passed by offered to make us some cocktails and bring them by. So how about some good service there? The DJ changes every week and for a warm sunny day there’s also an our open terrace. 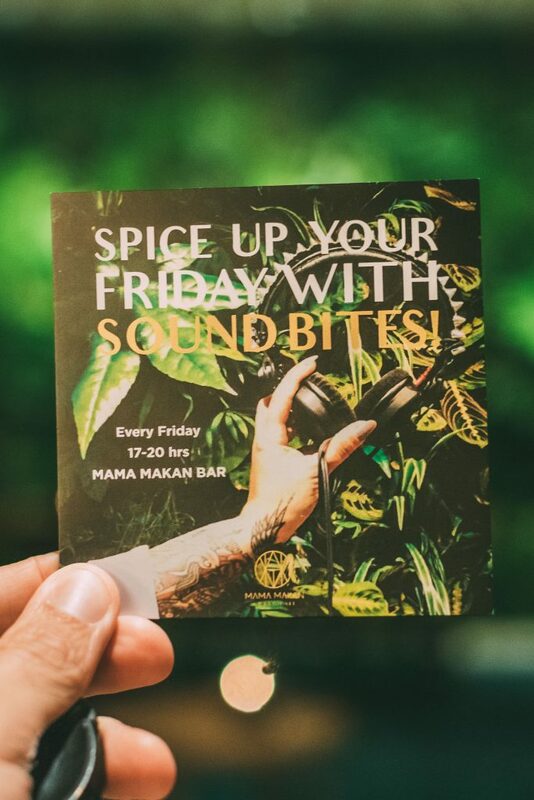 Soundbites happen every Friday from 5 PM to 9 PM at the Mama Makan bar. 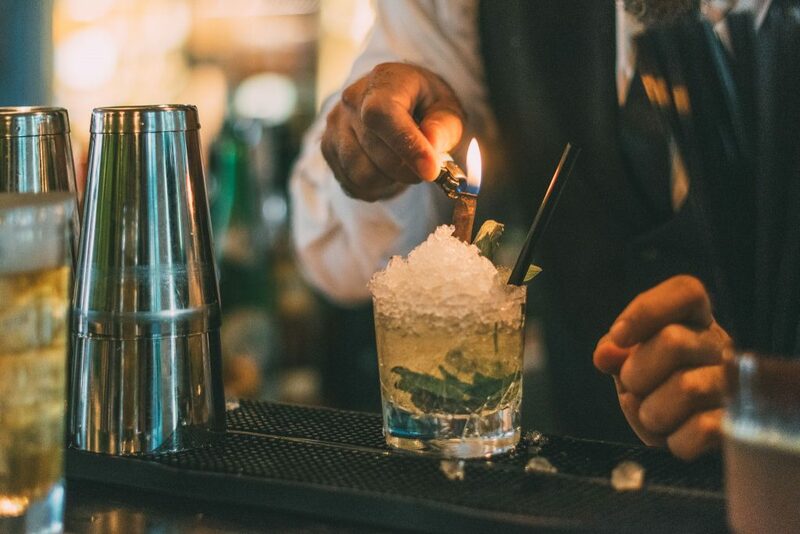 What better way to kick off the weekend right?